In today's competitive pet food market, there are hundreds of different types of cat food to choose from. The question is, what type of cat food will provide the best source of nutrition for your cat? 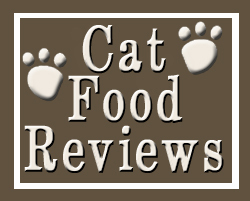 This is when you can rely on Dry Cat Food Reviews. Is it possible to purchase an inexpensive cat food that will also provide a sufficient amount of your cat's dietary requirements? The philosophy behind Timberwolf brand cat food is quite simple: create a high-protein, low-carbohydrate food that includes many healthy ingredients. One type of ingredient contained in Timberwolf brand cat food is herbs, which, in the wild, make up the diet of herbivore animals. The first step in choosing the right cat food for your cat is to check the first five ingredients. These ingredients represent a large portion of the cat food formula. It is important to be wary of formulas that list corn, wheat or soy in the first five ingredients. These are high-carbohydrate ingredients, and have been potentially suggested to cause allergic reactions or food intolerance in some cats. FOR IMMEDIATE RELEASE — Franklin, Tennessee (May 21, 2009) — Today, Nutro Products announced a voluntary recall of select varieties of NUTRO® NATURAL CHOICE® COMPLETE CARE® Dry Cat Foods and NUTRO® MAX® Cat Dry Foods with “Best If Used By Dates” between May 12, 2010 and August 22, 2010. Thecat food is being voluntarily recalled in the United States and ten additional countries. Choosing the right food for your diabetic cat can be a very involved process. There are many cat food brands that claim to be designed for cats with diabetic problems, but which one will be the most beneficial for your cat? Is it possible to choose a cat foods that will help maintain a diabetic cat’s health, while also providing the proper nutritional requirements? Recently, many studies have suggested that canned cat food has many nutritional benefits over dry cat foods. Canned food has been subsequently increasing in popularity among cat owners, with more people deciding that choosing canned cat food is the best choice for their cat’s nutrition. To decide if canned cat food is best for your cat, it’s best to first understand the basic ingredients in canned cat food. When choosing to feed your cat a dry cat food formula, there are many important things to consider. Not all dry cat food formulas are created equal! It’s important to understand your cat’s specific dietary requirements, to ensure that you’re giving your cat the proper amount of nutrition. Many cat owners prefer dry cat food over canned cat foods , due to both convenience and price.